The circulation of energy and substances in a planetary atmosphere controls the development of the planetary environment, thereby governing the possibility of a biosphere. The planetary atmospheres observed so far show surprising diversity, whose origin is still unclear. Our laboratory focuses on planetary atmosphere physics and resultant climate formation. The ultimate goal is general understanding of common physical processes behind the apparent diversity. The following studies are ongoing. Exploration of Venus atmosphere by a Japanese Venus explorer Akatsuki is ongoing. 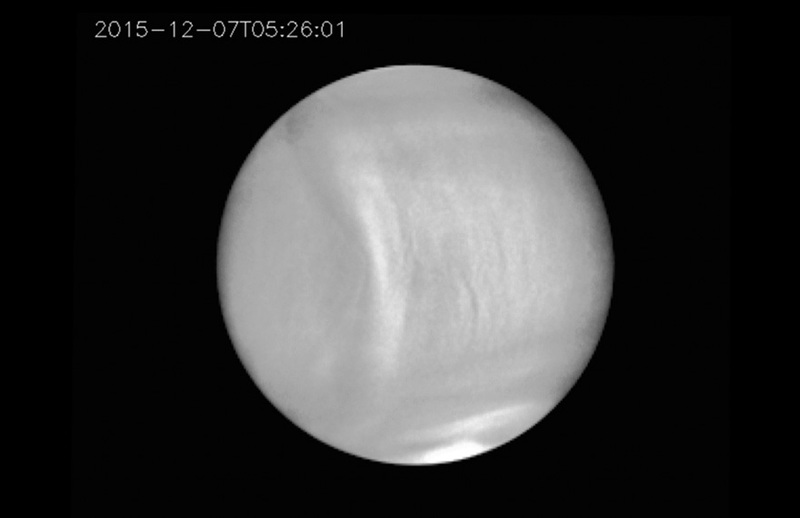 Akatsuki has arrived at Venus in December 2015 and is conducting remote observations of the atmosphere. 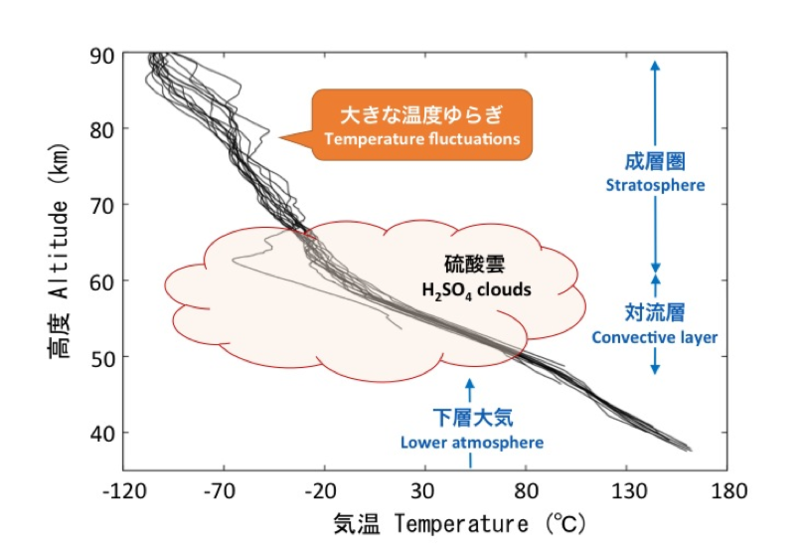 We use Akatsuki’s data to unveil the mysteries of Venusian meteorology such as the high-speed westward circulation and thick sulfuric acid clouds (Fig. 1). Development of a Mars exploration program including the studies of water cycle and dust transport is also ongoing. In a radio occultation experiment, a spacecraft transmits radio waves toward a tracking station on the earth and sequentially goes behind the planet’s atmosphere; during such occultation events the planetary atmosphere cause frequency and amplitude fluctuation, from which information on the atmosphere is obtained. We apply this technique to planets and the solar corona (Fig. 2). Common physical processes behind the apparent diversity of atmospheric phenomena on the planets are investigated with numerical modeling and theories (Figs. 3, 4). This leads to understanding of the differentiation of the planets and the origin of Earth’s environment. Fig. 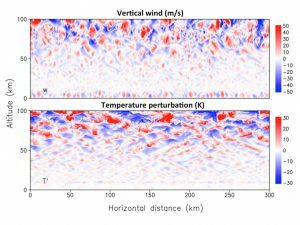 4 Numerical simulation of near-surface convection and convectively-generated waves in the Martian atmosphere. 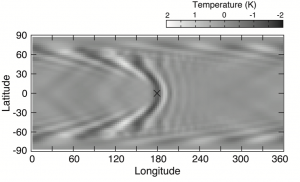 Vertical wind and temperature deviation fields are shown.